Free Code Camp Sydney, in partnership with Code.Sydney, is a separate entity from freeCodeCamp.org but believes in the same purpose. Free Code Camp is an international community which intends to make learning web development accessible to anyone and help build project for non-profits. 1. Sign up to freeCodeCamp.org and start doing the lessons. 2. If you have any questions about a topic, watch the related video using the links below and feel free to ask questions in the video comment section. 3. Please sign up to our leaderboard so we can monitor your progress. 4. Join our slack channel to get access to mentors. 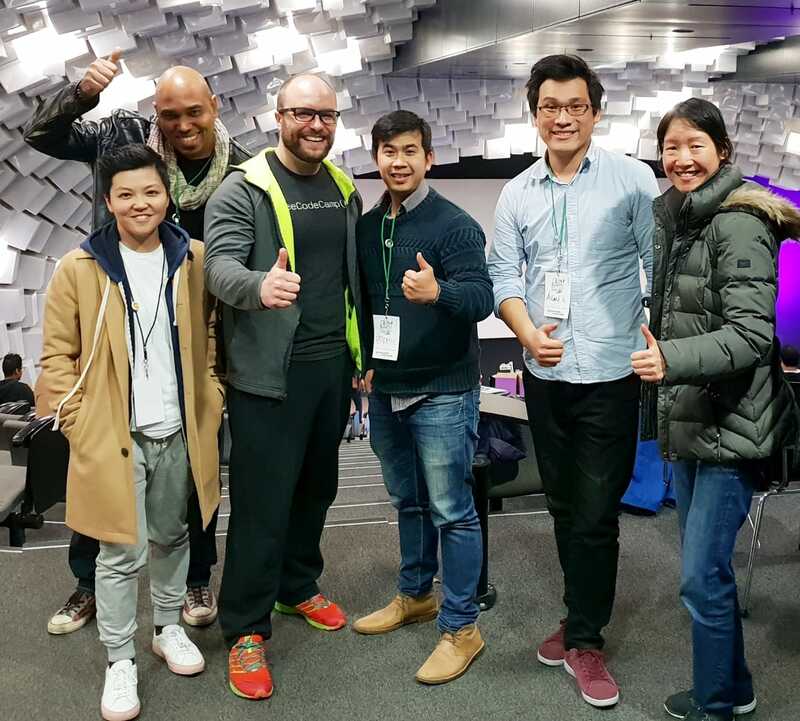 Photo with Quincy Larson, founder of Free Code Camp during his visit to Melbourne. Code.Sydney/FCC mentors Promie Yutasane and Allan Cheung graced the event. Not in photo is Tony Johnson, who is also a Code.Sydney/FCC mentor. Important: Please note that only the ones with active links are ready for discussion. The blog is updated regularly as we progress. Join our Meet up group to stay updated with regular face to face meet up schedules.